A cash-strapped council is to lift its ban on new spending. The Section 114 notice banned all new expenditure at Northamptonshire County Council, except on statutory services for protecting vulnerable people. The decision follows a recommendation from two inspectors appointed by the government to oversee the Conservative-led authority. Brian Roberts, finance commissioner for the council, said it was now "living within its own means". 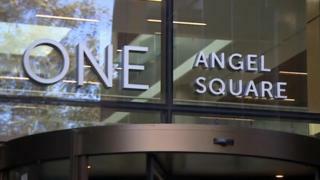 He said the authority was balancing its books "without putting services at further risk", describing it as a "significant achievement", according to the Local Democracy Reporting Service. The emergency measure was put in place in Northamptonshire twice within the last 18 months. It had not previously been implemented by any local government in more than two decades. Commissioners say the latest financial monitoring report, which will be released next week and covers the first 11 months of the year, show a broadly balanced picture for the first time in seven years. Council leader Matt Golby said all indications were that the council was now balancing its budget. "We are due to publish our latest monitoring report next Monday and all indications are that we are now balancing our budget," he said. "Given that at one point the deficit stood at £64m this is an incredible achievement." In November, the government allowed the council to use £70m of its capital funds, normally reserved for building and infrastructure projects, to be spent on services, and its deficit. The government also sanctioned a 4.99% rise in council tax, 2% more than the 2.99% usually permitted, in order to raise an extra £5.8m. The final update on the 2018/19 financial year will be discussed at the next cabinet meeting, on 9 April.